It’s been a while since my last review, and I’m starting to get out of practice. I can’t quite figure out how to start today’s review of Chef Maurice and a Spot of Truffle (2015) by J. A. Lang. How to describe today’s book? Imagine, if you will, a culinary mystery. Make that a culinary mystery solved by an eccentric French chef named Maurice, a chef who is extremely fond of eating. 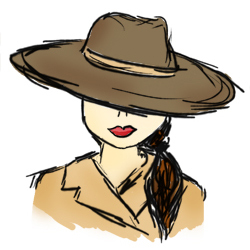 Also, make this a mystery which revolves around the world of truffles and truffle-hunting. Finally, add a couple of chapters written from the perspective of a pet pig. “Oh, boy,” you might think, “Patrick’s finally gone insane. He’s seen one too many episodes of the BBC’s Father Brown, and he’s snapped and started to read cozy mysteries. Well, maybe we can at least finally get his recipe for coffee cake.” But you’d be wrong – the recipe is my mother’s, and it is not mine to give away. You’ll just have to settle for my opinion of the book. I first heard of this book because of an enthusiastic review on In Search of the Classic Mystery Novel. The plot involves the disappearance of Chef Maurice’s mushroom supplier, Ollie Meadows. This is a major inconvenience for the temperamental chef. So he breaks into Ollie’s home to partake of his mushrooms, fully intending to pay of course. But he discovers that he hasn’t been the only one to break into Ollie’s home, and then he finds them: exquisite white Alba truffles… yet they have a distinct aroma of English woods to them! Could they possibly be local truffles? Chef Maurice decides that if Ollie was able to find the truffles, he can too, and thus he adopts a pig named Hamilton. They go truffle-hunting, but they turn up a corpse instead. And thus, the game is afoot, and Chef Maurice’s inaugural mystery is underway! This book was delightful. It put a gigantic grin on my face, and I genuinely loved the experience of reading this book. The prose has a touch of light humour to it, and Chef Maurice made for a delightful companion. If you were to judge this book by its cover, you’d think this was probably the kind of mystery which includes a recipe for lemon squares. But you’d be wrong. There are no recipes to be found in this book (although there is a disastrous attempt to cook risotto). What you will find instead is a well-thought out mystery. The clueing is slightly on the thin side – I would have liked one or two more clues in the story myself – but the mystery is brought to a satisfying resolution. You do not feel cheated – on the contrary, you get the feeling that you could and should have spotted the murderer for yourself. I have no serious complaints about the mystery. We could sit here and nitpick details, e.g. police procedure which I’m pretty sure would never be allowed to fly in real life, but that would be silly – this is neither real life, nor is it a police procedural. In the universe that J. A. Lang carves out, this plot works, and that’s good enough for me. Indeed, I found myself very entertained throughout. I particularly liked the brief snippets we get from Hamilton’s point-of-view – these are some excellent little snippets written from an animal’s POV, and it’s work that I daresay Edmund Crispin (he of the non-doing pig in Buried for Pleasure) would have been proud of. 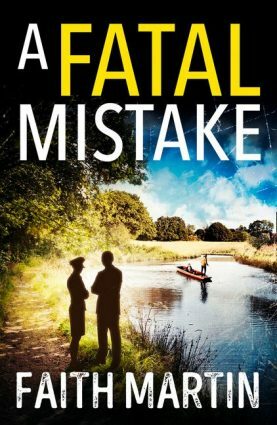 There’s a genuinely funny sense of humour throughout this book – you get the sense that the author is trying to write a good mystery, but one which will also entertain those readers who solve the mystery. 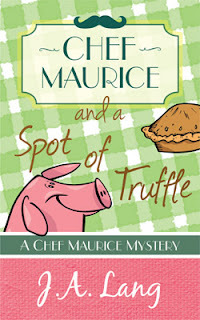 Overall, Chef Maurice and a Spot of Truffle was an excellent read. It was entertaining, funny, well-plotted, and very charming. I found myself loving the adventures (and misadventures) of this French chef, and I’m eager to read more. I really enjoyed myself. Thanks again for the persuasive reviews. I've got Book 2 on my Kindle already, although knowing me it'll be next Christmas by the time I get to reading it. Also, isn't it nice to get a Kindle book at a price which doesn't feel like I'm being extorted? Obviously, you went mad a long time ago or else you wouldn't come here, but comparing a modern cozy with Edmund Crispin is a new kind of crazy. On the other hand, I did call for the death of the modern, socially conscious crime novel. So perhaps I should give this one a shot somewhere down the line. I stand by the comparison. Edmund Crispin had some very funny animal POV scenes, and the scenes in this book have a similar vibe to them. In marketing terms, this book is certainly a cozy, but I think it deserves to be called an honest to goodness mystery. It's a first book, so it has a couple of weak points (as I mentioned, the clueing is a bit thin), but it's a book that left me more satisfied than Gilbert Adair ever did. OK, the title would normally put me right off, but this does sound like fun - thanks Patrick.